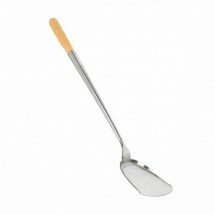 The wok spatula is an Asian cooking utensil specially designed for wok cooking. Made of stainless steel, wok spatulas have a flat blade with a curved edge that is designed for stir frying of foods in a wok. A wok spatula has an extra long handle, curved away from the wok which will prevent chef burns when cooking at high temperatures. 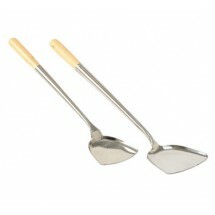 Shop for wok spatulas and wok shovels at great online prices.